An essential for any stylish lady during the colder months, the Women's Hunter Original Quilted Snow Boots have been crafted from a rubberised leather and nylon for a highly durable feel that is definitely built to last no matter where you are out walking. 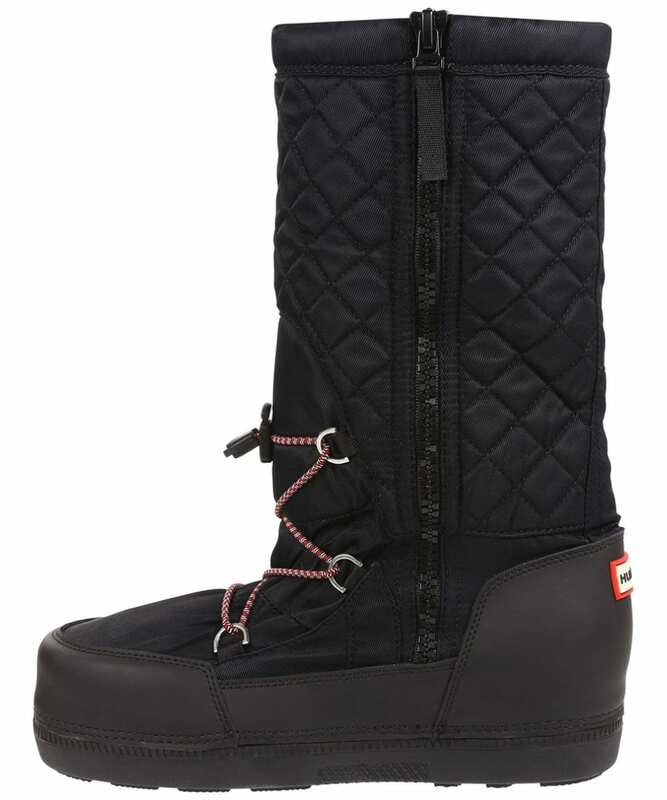 Featuring a neoprene lining, these boots are sure to offer the upmost warmth, ideal for keeping your feet cosy when the snow starts to fall, with the water repellent finish keeping you dry for that added touch of practicality. 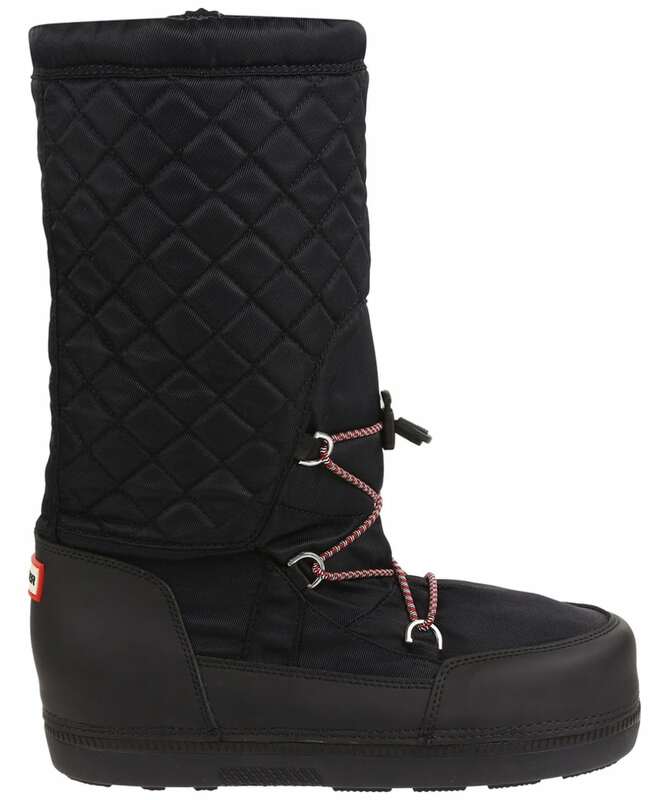 Specifically designed to keep the chilly weather at bay, these Original Quilted Snow Boots boast a drawstring to the top so that you can adjust the boots to fit you perfectly. 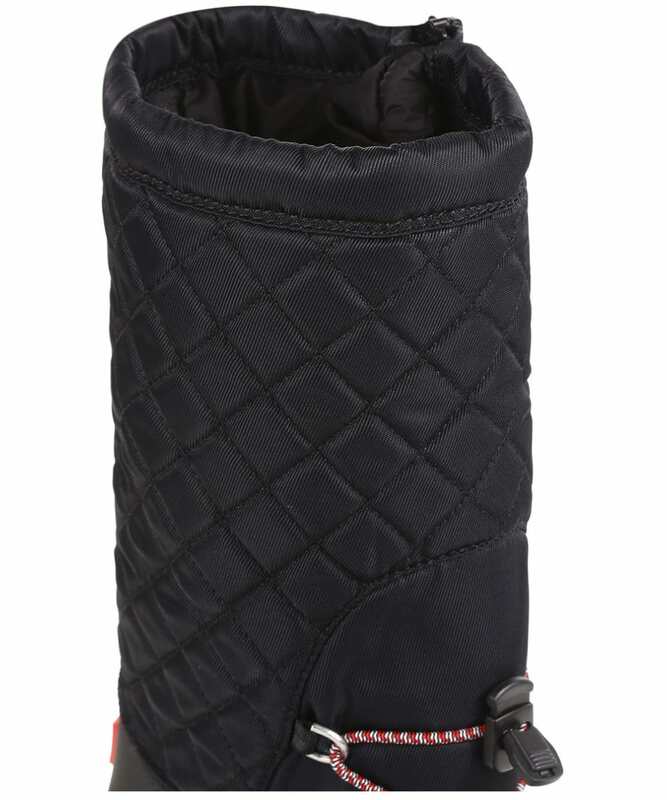 For your added convenience, the boots also feature a zip to the outer shell, as well as lacing around the foot and a padded counter to the inside, to keep the boots safely fastened and your feet supported. 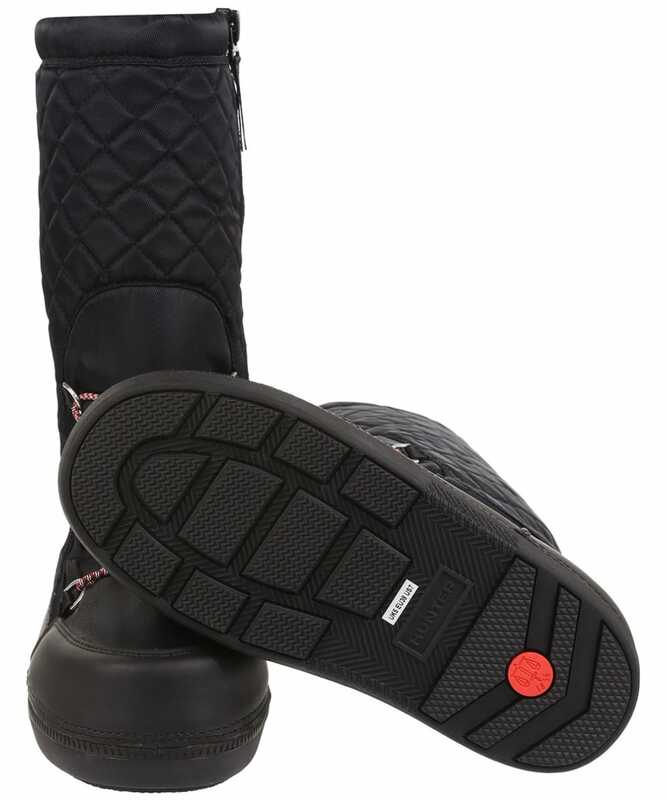 Whether you are walking through a muddy field or along a frosty lane, the moulded rubber outsole has a deep tread design to keep feet secure and stable, offering high levels of traction and superior grip, with the soft and lightweight footbed keeping you comfortable all day long. 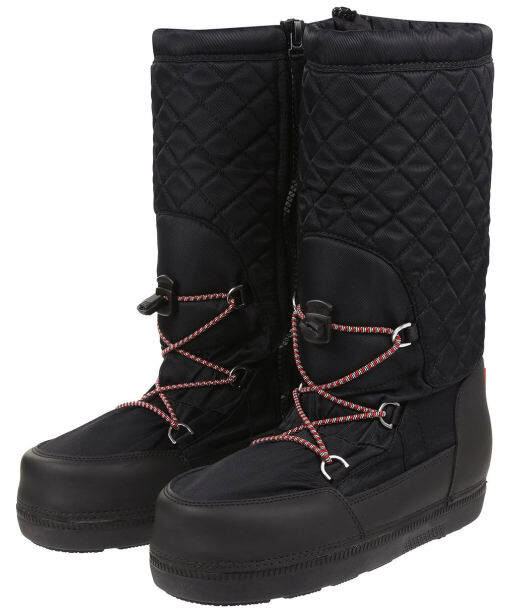 For that fashion forward feel, these Snow Boots have a quilted inner lining that can be seen if you wear the boots open, keeping you on-trend through the coldest months and beyond! 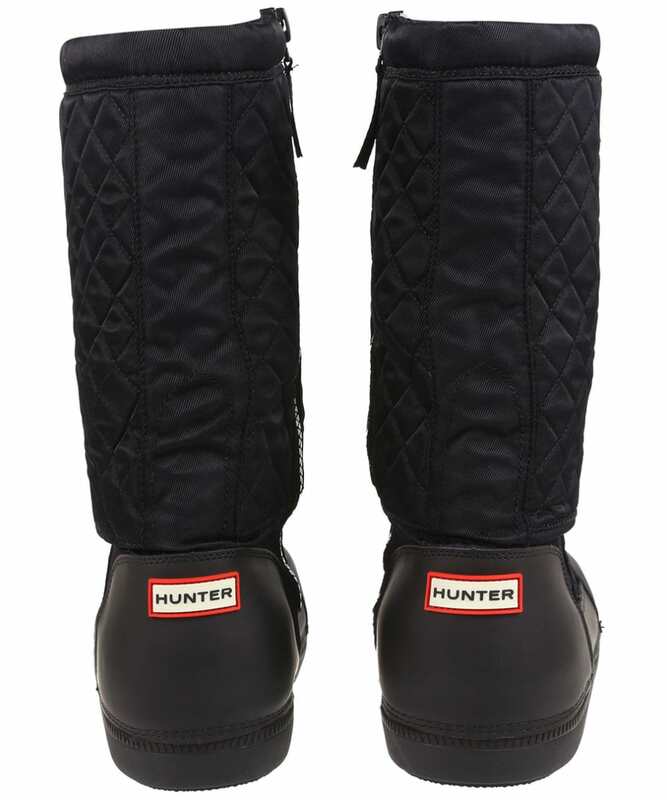 The Women's Hunter Original Quilted Snow Boots are finished beautifully with signature logo branding for that added mark of quality excellence. Please note that customers have found that this boot fits small, so it is recommended that you take a size larger than normal.